Visit ClampArt at The Photography Show presented by AIPAD on April 4-7, 2019 in Booths #313 and #1003. In Booth #313, we will present artworks by Aziz + Cucher, Olaf Otto Becker, Frances F. Denny, Daniel Handal, Isa Leshko, Michael Massaia, Zack Seckler, Marc Yankus, Mark Morrisroe, and many others. In Project Space Booth #1003, we are proud to present the premiere of Lissa Rivera‘s latest project, “The Silence of Spaces.” Browse a preview of the series on the gallery website. On Thursday, April 4, 2019, from 5:00 – 7:00 p.m. in Booth #313 we are hosting a book launch and signing with photographer Isa Leshko to celebrate the publication of her new monograph “Allowed to Grow Old: Portraits of Elderly Animals from Farm Sanctuaries” [University of Chicago Press, 2019]. Browse an online preview of our booths at Artsy. 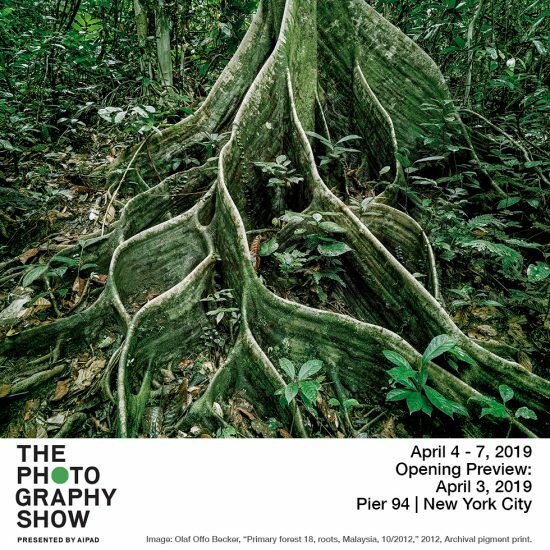 For scheduling, tickets, and information about the fair, visit The Photography Show website. Opening Preview VIP Hours: 2:00 p.m. – 5:00 p.m. Opening Preview Public Hours: 5:00 p.m. – 8:00 p.m.
Public Hours: 12:00 p.m. – 7:00 p.m.
For more information, please contact the gallery at info@clampart.com or visit The Photography Show website.